Take the electro synth pop of FMLYBND (from Isla Vista, Ca.) - the post punk, funk, jazz, progressive, afrobeat amalgam that is KIEV (from Orange, Ca.) - the pop punk indie alternative tones of Puerto Rico native, AJ. 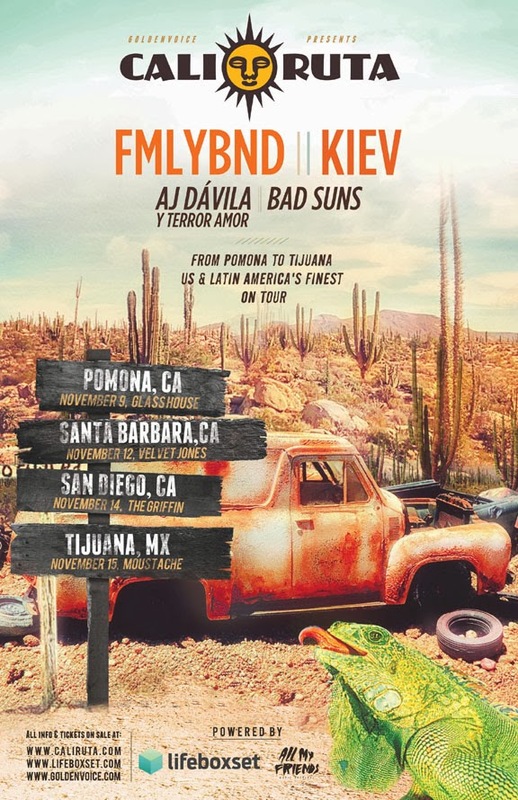 Davila Y Terror Amor - and the purely wrought indie rock of Bad Suns ( Woodland Hills, Ca) and bring them all together and you have Cali-Ruta!